Left hand inlet with back plate. 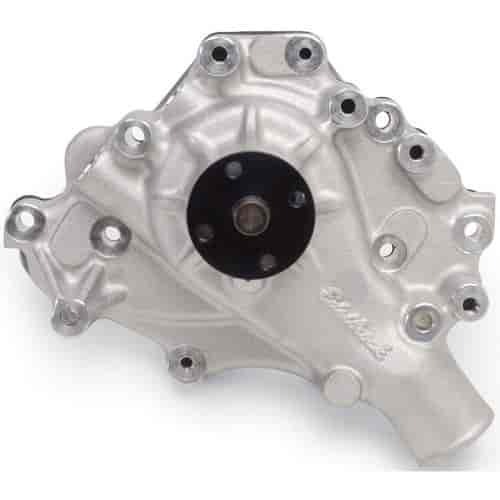 Dimension from casting to hub: 5.70"
Does Edelbrock 8843 fit your vehicle? 8843 is rated 2.0 out of 5 by 1. Rated 2 out of 5 by Anonymous from Fit description is Wrong I purchased for a Ford Bronco 1972 302 motor. The heater hose connections were in the wrong place. The description was incorrect.